Hi! I'm Brittainy! Join me as we travel through my mind as a Romance Writer. This includes such things as my random thoughts, tricks, tips, things I'm learning, things I'm re-learning, things I'm forgetting and my weird ways of crafting stories. I think I found a moment (Random words pouring out). A Poem. Maybe? I thought this could be fun—just writing whatever words come to me and seeing if it ends up meaning anything. Ready? Set? Go! I think I found a moment where nowhere is somewhere. And someone is no one. And eyes cannot see and legs cannot move. His lips have managed to lose me inside a twisted atmosphere. The beats of my heart do not interfere with the feeling of his whispers against my willing ears. From all of the limitations of what’s right and what’s wrong. I lose count of my past demons and find count in my current mistakes. Ohhhh but could a mistake taste so sweet? Nevermind what the world has told me of this person who is no one yet I now see as someone. I will find a way to make sure this moment doesn’t pass. Before my mind reminds me that nowhere’s never last. It’s been awhile since I’ve posted here…but I’ve been a busy bee! 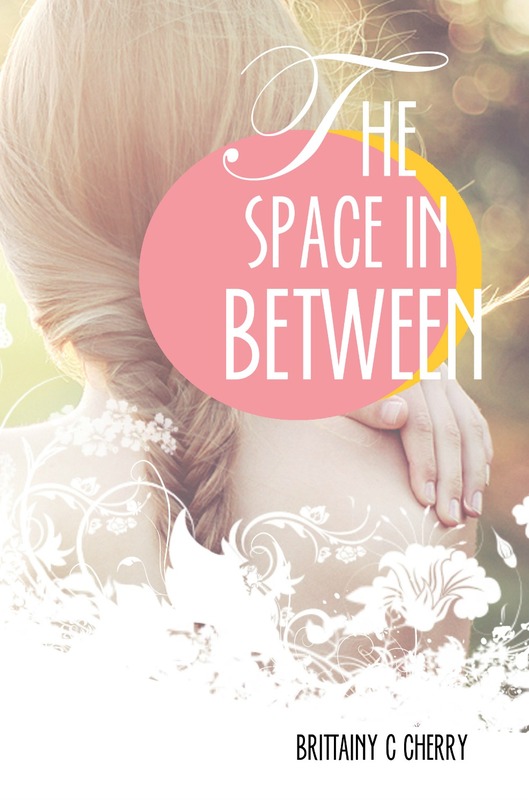 Lets get caught up on the most exciting part: Sooo it seems that my debut novel The Space In Between is coming out August 16th, 2013! That’s 45 days away! I’m so excited, freaked out, happy, and nervous! WARNING: The following story contains mature themes, strong language, and sexual situations. It is intended for readers 18+ older. How are you all doing? Wonderful I hope! Where worries disappear and your hands find mine. Lets scroll around until the sun fades and kiss the midnight sky with our dreams. He makes it easy to fall in love. What does it mean when he doesn’t speak a word? When he comes around the corner and my stomach stirs? Do I open my mouth or let my eyes speak? Will he turn my way or walk right pass me? But my ideas of society’s egotistical ways remind me that I am not worthy of his glance. I am not slender. I cannot curl my hair. I walk with a leap and I sometimes swear. My humor is tainted. I somewhat hate crowds. My mother informed me that I’m hard to be around. My sister is blonde but my locks are stained black. If I were to smile, he would notice my cheeks filled with fat. But who would choose the raven when he could surely have the dove? And then with their hips. I always understood that Matt was a ‘from a distance’ crush but that was alright. He still was funny and charming from a distance. Then, one day in 10th grade I walked into my science class and our teacher said we were switching seats. And she put me next to Matt. He was just as charming and funny when he wasn’t at a distance. Of course, nothing came of it. I graduated high school and moved on to college. I dated around for awhile but nothing serious. One day during my senior year, I was in a relationship and my boyfriend at the time said, “Hey, Eric wants us to go out to eat with him and a friend, you up for it?” I had the biggest exam of my life the next day, but I guess I needed dinner, so I agreed. When we met up with Eric, I saw his friend. And then Matt left. And My first crush finally had the ending that it wanted. A final hug and a ‘great seeing you’. It was the perfect ending to this ‘not so fairy-tale fake romance’. In my stories I like to make my characters feel as deeply as that 16 year old version of myself felt. Those butterflies, those ‘what ifs’, those nerve-wrecking feelings. There’s this magical moment that happens in my stories. There’s a beginning of the crush, there’s the middle, and then there’s the end. It’s at the end that you discover if it is nothing more than a crush, or if it transforms into a love. And the best thing? It happens to everyone. Not only to a sixteen year-old. But to an eighty year-old. A forty-seven year-old. Crushes don’t stop after high school, but they travel with you as long as your heart beats, as long as your palms sweat. Never underestimate the power of writing about a crush. Give your hero or heroine a moment to truly feel that deep emotion. The possibilities are endless and powerful. And when you write the crushes correctly, the readers will too, leave with a feeling of bliss. Now, time for me to get back to writing about love and other dramatic things.